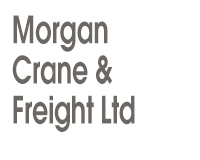 Welcome to Morgan & Morgan Freight Ltd.
We are the moving specialists and can take care of all your freight requirements. Servicing the wider Wellington region, we specialize in moving everything from bricks to containers to blocks, to sleepouts. We have Hiab cranes so no job is too difficult. We are locally owned & operated and have over 20 years Hiab experience. We care about our customers and our business. Morgan & Morgan Freight Ltd are specialists in Hiab work, no one can do it quite like Daryl. If we ca not do it, we will find someone who can. Call us today for a competitive rate! Our services include freight servicing the wider Wellington region.